Comfortably treat excessive redness, enlarged pores, uneven skin texture, and fine lines and wrinkles! Laser Genesis skin therapy is an innovative, technologically advanced way to promote vibrant and healthy-looking skin in men and women. The Laser Genesis utilizes laser technology to safely and effectively treat uneven skin texture, scars, large pores, and diffuse redness. 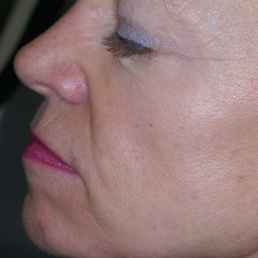 Laser Genesis is a comfortable, non-ablative, non-invasive form of skin therapy. You can expect to see subtle yet consistent results after each treatment, without unwanted side effects such as bruising or excessive skin irritation. Your therapy can be performed in a relaxed manner without the use of general or local anesthesia, gel, or cream. Diffuse redness is a general appearance of facial redness, such as rosy or blotchy cheeks. Individuals with diffuse redness may also flush or blush easily. 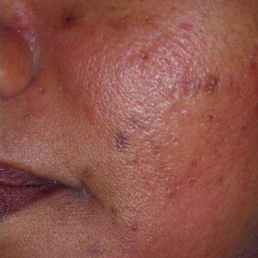 This condition is caused by dilated capillaries, resulting in an appearance of general redness and may be accompanied by broken capillaries or facial veins. The most commonly affected areas are the nose, forehead, and cheeks. Diffuse redness is often associated with a condition called rosacea and it can be hereditary. Laser Genesis therapy will help your appearance by gently treating and drastically reducing the appearance of this condition. 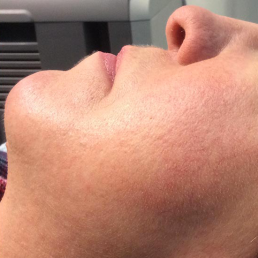 Laser Genesis clients report excellent results over their entire faces, necks, and décolletage. 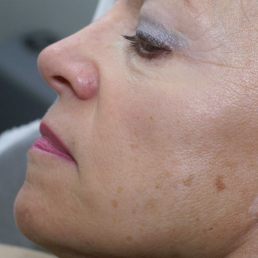 Additionally, Laser Genesis is very adept at diminishing the appearance of scars on all parts of the body, including acne and surgical scarring. Clients often describe the treatment as relaxing and therapeutic. You will experience a gentle warming of your skin’s surface during the procedure as the laser hand piece is moved back and forth about 1/2 inch above your skin, similar to airbrushing. You can expect to immediately return to normal activities, utilizing sunscreen if participating in outdoor activities. Although most clients report few if any side effects, the most common is a slight redness that fades shortly after the treatment. The treatment results are cumulative. On average, clients require four to six treatments in order to achieve the best results. 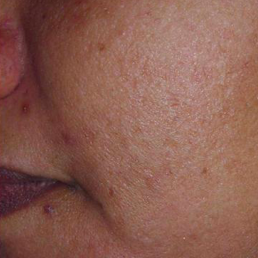 Most clients notice immediate improvement in pore size and the texture of their skin. Redness and fine lines are considerably less noticeable with future treatments. 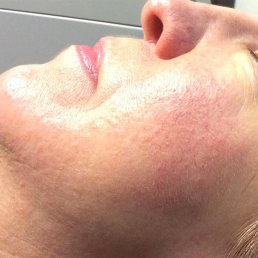 While treatment with Laser Genesis is the most permanent option available, the factors that contribute to aging and diffuse redness will eventually create new swollen capillaries and collagen destruction. Maintenance recommendations will be based on your individual symptoms and lifestyle.